The Perfect Pontoon for Long Days on the Water. 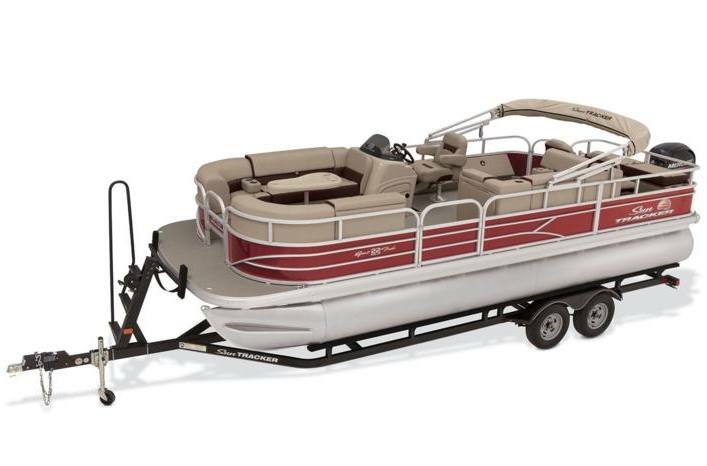 Create a lifetime of lasting memories with friends and family on a Sun Tracker pontoon. You’ll enjoy eye-catching styling and graphics along with sleek consoles, gauges and controls for a fantastic user experience. With live wells and convenient seating, fishing is a breeze, while well-designed floor plans maximize socialization and fun. Plus, these boats come with a 10-year bow-to-stern warranty—supplemented with a limited lifetime warranty on deck and structural components—to assure your fun-filled days also come with the ultimate peace of mind. 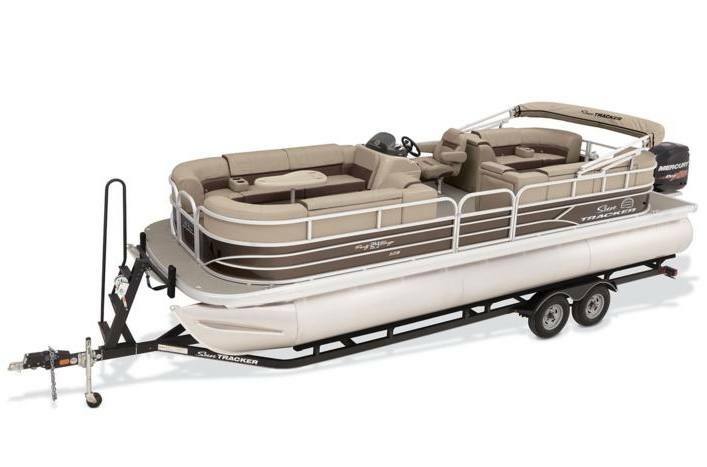 In addition to our everyday low prices, Mad City is also proud to offer special financing on Sun Tracker Boats. Take advantage of this unique opportunity by filling out the form below, so you can get out on the water faster! •XP3 model comes with even more options and performance features! •Offers space, features, and comfort to enjoy a perfect day on the water fishing and relaxing. We'll get you on the water this weekend with easy, affordable financing. Simply complete our online financing form by clicking below, and give us a call at (888) MAD-CITY with any questions. You'll hit the water on your dream Sun Tracker, at your dream price.